We were broke, ramen noodles, mac 'n cheese buh-roke. Okay, we were keeping up with the bills for the time being, but my job wasn’t paying yet. Eric was still looking for a job, and our measly savings was dwindling. It was March of 2001 and the dot com bubble had burst dropping both my husband and I on the unemployment line. We thought for about a month that he had lined something up that would let me stay at home so I could write, but that contract had fallen through. So, I found myself going back to the company that I had worked for 2 years before doing roughly the same job, and sitting through a training class that previously I might have been teaching. Our trainer, who I had worked with for years announced a quiz, with the added incentive of a $10 gift certificate to the local mall for the person with the highest score. I admit that I had no qualms about using all my prior knowledge to win that gift certificate. That’s how I ended up in the book store with my $10. It had been a while since I’d had the money to spend on a book, and I’d run through just about every one we had in the house. I wandered the aisles biting my lip feeling a bit like a kid trying to get the most for my dollar in the penny candy aisle. Maybe it’s my Scottish roots, or my Granny’s example of thrift, but I wanted to make the most of my sudden if tiny entertainment budget, which is how Outlander caught my eye. It was the thickest book on the shelf promising the most pages per dollar and therefore the most entertainment for my ten bucks. Even better it was only $6.95. Throw in the plaid on the cover and I was sold. I also noticed that Dragonfly in Amber was around the same length and price. It would put me over my $10 budget, but I figured I could go without protein in my mac ‘n cheese for a couple of nights. After a few minutes shifting numbers in my head to see if I could afford the few extra dollars on a book, I bought them both. 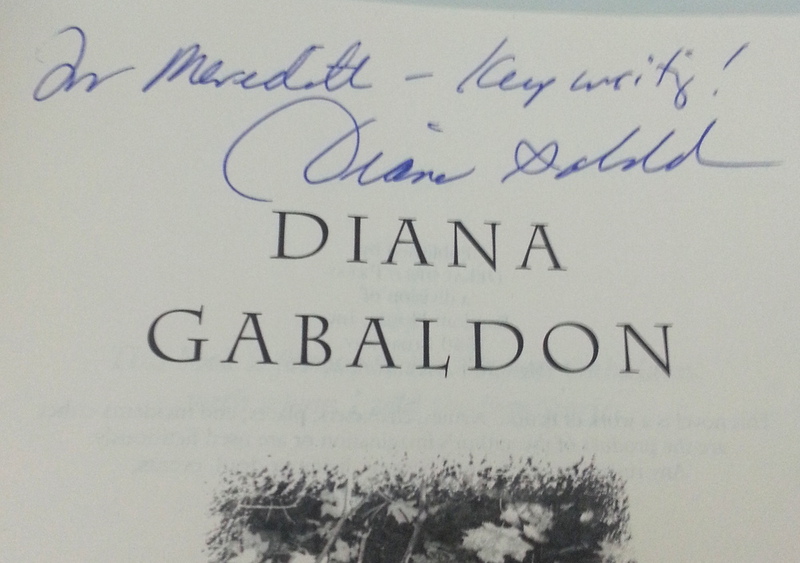 Then I started learning about Diana Gabaldon, and found even more inspiration. Like me, she wanted to write books when she was a child. She had more than one career before writing Outlander. She managed to create these incredible characters and tell their stories and be a mother. She made me think it was possible for me to be a writer. 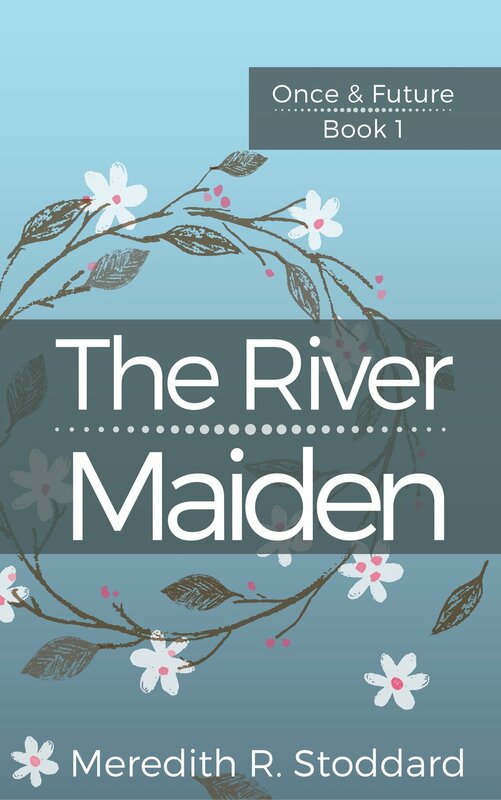 She inspired me to pull out the fifty or so pages of The River Maiden that I had already written and get back to it. It’s been a few years since that fateful day in the book store. My copy of Outlander has since fallen to pieces and naturally been replaced. The book store closed down. I built a career as a corporate trainer, had two kids and realized that I was in fact married to my very own Jamie. Now, I’m in a similar situation. Going back to work after being a stay at home mom for a few years, and wondering how I’m going to carve out time to build a writing career while managing two kids and a day job. But I still find myself saying, “What would Claire do?”. And when the writing gets tough or I feel like I’ll never reach my goal, I pull out my copy of The Fiery Cross and look at the inscription that Diana wrote there at a book signing years ago. It says “Keep writing!”, and I do. What can I say to someone on a day when the entire world is gushing about her and wishing her a happy birthday? All I can say is, thank you and thank you and thank you. You’ve given us all so much, taught us so much and proven that strong women attract the best men. I know I’m just one of millions, but if you’re at all like me every time a reader tells me my stories mean something is precious. Your stories mean so much. I wish you all the best in the coming year, and can’t wait to read what you have for us next.